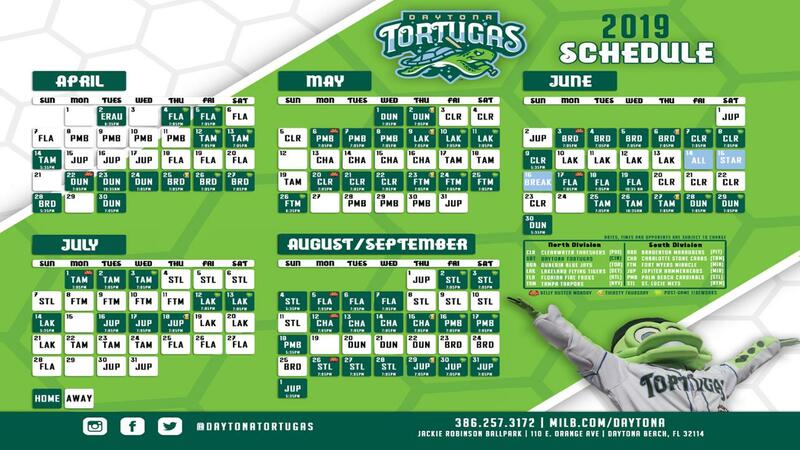 The Tortugas Team Store is conveniently located behind homeplate at Jackie Robinson Ballpark during the Tortugas season, and at their Front Office dring the offseason. During the offseason, fans can access the Team Store by going to the Tortugas Front Office (105 E Orange Ave.), located across the street from the ballpark's Jackie Robinson statue. You can also shop for Tortugas gear every day by visiting the official online Team Store. For questions, please contact Wade Becker at (615) 515-1155 or email info@daytonatortugas.com.